George R. Perez has been an outstanding tenant at Otay Mesa Self Storage since 2007. Mr. Perez is a strong supporter of our community-focused events, such as Toys for Tots. He is a Board Member and the Baja Program Director at Corazon de Vida Foundation. The foundation is a US 501c3 non-profit organization providing life-changing support for orphaned and abandoned children in Baja, Mexico, by funding local orphanages, providing quality of life improvement services and investing in the children's future by funding higher education. The foundation has been active for more than 20 years and has enjoyed many success stories. 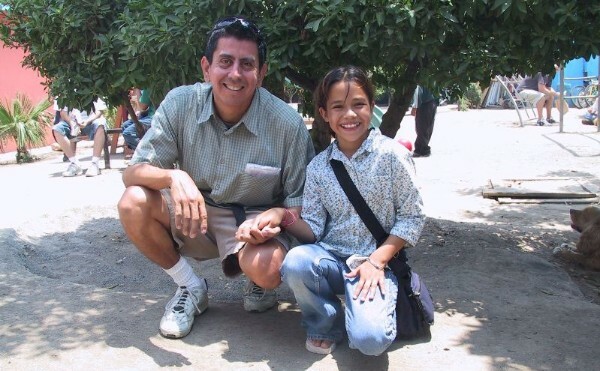 Pictured with Mr. Perez is Norma, who was about 9 years old at the time of the photo. She has since graduated college with a degree in Fashion Design in Tijuana, Mexico. Corazon de Vida helped her with education from elementary school through university. Mr. Perez shows us every day that they are still many people with great hearts, ready to help those who really need it the most. Otay Mesa Self Storage is honored to have Mr. Perez and Corazon de Vida as its tenant.